German development bank KfW and the African Trade Insurance Agency (ATI) announced a new instrument to support renewable energy projects in sub-Saharan Africa on the side lines of CbI's fourth annual Africa Investment Exchange: Power & Renewables meeting, which was held in London on 15-16 November. The RLSF is designed to help independent power producers (IPPs) developing small-and mid-scale (up to 50 MW) renewable energy renewable energy projects in Africa to obtain the liquidity they need in the event that their off-taker (frequently a state owned entity) delays payment. The facility will provide immediate cash collateral supported by guarantees to a commercial bank that will in turn open a standby letter of credit to the benefit of the IPP. The amount provided will enable the IPP to operate and service the debt for up to six months. Furthermore, unlike most IPP letters of credit (which tend to be 12 month tenors) the facility is designed to be in place for multiple years. The German Federal Ministry of Economic Cooperation and Development (BMZ) through KfW will provide funding of up to €32.9m to the facility. 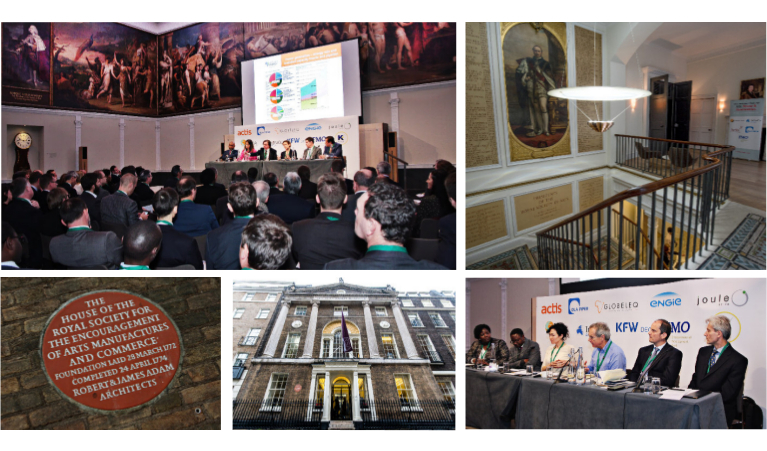 The fourth AIX: Power & Renewables attracted around 180 senior executives from 29 different countries for two-days of structured panel-led sessions under the Chatham House Rule. The meeting was sponsored by Actis, AfiDA, DEG, DLA Piper, Engie, FMO, Globeleq, Joule Africa and Kano Electricity Distribution Company and supported by Power Africa and the Global Off-grid Lighting Association. Day one offered participants the opportunity to analyse the different obstacles and potentials along the project lifecycle, from concept and early stage development through to financial close and accessing local finance. During the morning there were two separate breakout sessions focused on geothermal and hydropower. Participants also benefited from insights provided by CbI’s new African Energy Live Data platform. The Live Data team held a special session on the afternoon of day one, while the platform also fed exclusive data and analysis into a number of sessions across the two days of AIX: Power & Renewables. Following the launch of the Africa Infrastructure Development Association (AfIDA) at last year’s meeting, CbI was delighted to welcome AfIDA back as sponsor of the evening reception. AfIDA also held a separately bookable workshop on the afternoon of day one. Day two started with regional focus sessions offering a snapshot of renewable energy programmes, thermal generation models and off-grid opportunities across four different regions. After lunch the second annual Off-grid Investment Exchange rounded off this year’s meeting, bringing off-grid pioneers together with developers and investors who are looking to buy into this fast-growing industry.